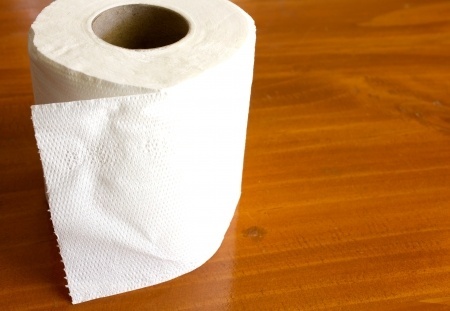 You may ask why what causes constipation may be of interest to you? Well, if you've ever known the cramping, bloating and painful trauma of constipation then you would most certainly be taking notes. If you’re able to find out what causes your constipation then it’s a bit easier to figure out the best treatment. Constipation is a symptom rather than a disease and can affect anyone at any time. It is defined as fewer than three bowel movements per week, as each person’s regularity is different. Constipation is usually caused by diet, but there are a number of other causes. The most important component of a healthy diet is water. If you don’t have a sufficient intake of water every day, the chances are you will suffer from constipation, as well as other problems. Drinking more water doesn’t cure all cases of constipation but it can be responsible for a significant number. Fiber is another important part of our daily diet and it can help our bowels to keep moving healthily. Fiber adds bulk to your stools and makes them easier to pass. The best foods in which to find fiber are whole grain breads, whole grain pasta, vegetables, fruit (especially the skins where possible) and brown rice. Some of us eat way too many processed foods and this can also result in constipation. If you’re eating more fast food than healthy foods, you’ll probably be feeling a little bit sluggish! The reason processed foods are so bad for our bowels is because they usually contain little or no fiber. So if you are feeling a bit constipated, try cutting out things like fried food, cheese, ice cream, cake and sugary drinks. These can be gradually reintroduced if you simply can’t live without them - but in moderation! One of the lesser known (and least glamorous!) symptoms of pregnancy can be constipation. It can become very uncomfortable so it’s crucial for so many reasons to maintain a healthy diet during pregnancy. The reason that bowel movements are affected is because the body produces more hormones (progesterone) than usual during pregnancy and these cause the intestinal muscles to relax which can really slow things down the digestive system. The growing baby can also put pressure on the bowel and intestines which makes bowel movement more difficult. Therefore pregnant women need to ensure they are eating plenty of fiber and drinking lots of fluids. It can also be helpful to take regular, gentle exercise. Medication can also cause constipation. The most common culprits are narcotic pain medication, some anti-depressants, anti-convulsants and iron supplements and a lot of these are not always identified as the cause of constipation. If you are taking any of these medications and are feeling constipated, try balancing out the effects with increased fiber and fluid in your diet. Usually this will counteract the problem without you having to discontinue taking the medicine. Many parents worry about the bowel habits of their baby, especially when they are very young. Babies are very different, just like adults and they can have bowel movements three times a day or just once every few days but there is usually nothing to worry about as long as the stool is relatively soft and easy to pass. Breastfed babies will usually pass very runny, yellow stools due to the easy-to-digest nature of the breast milk. Frequency tends to be lower in breastfed babies; some babies only open their bowels once a week. Babies who are on infant formula will need to pass stools more regularly (probably every day) and the stools will be bulkier and often darker, though color and consistency can change on a daily basis. Some of these symptoms are obviously difficult to determine in babies. If you are concerned about the bowel movements of your baby, seek advice from your GP or health visitor. Many sufferers of IBS report bouts of constipation and diarrhea. The constipation is a symptom of IBS. The pain and discomfort is debilitating and treating constipation too aggressively can then lead to diarrhea. Once you know what causes constipation in your body, you have a better chance of correcting that and healing your body. Information on Crohn's Disease - a digestive disorder.